Virtually every area of research associated with sharks and their relatives has been strongly impacted by the revolutionary growth in technology. The questions we can now ask are very different than those reported even two decades ago. Modern immunological and genetic techniques, satellite telemetry and archival tagging, modern phylogenetic analysis, GIS, and bomb dating, are just a few of the techniques and procedures that have become a part of our investigative lexicon. A modern synthesis of the biology of Chondrichthyans, Biology of Sharks and Their Relatives, Second Edition discusses significant advances in the development and application of new molecular techniques to the understanding of the phylogenetic relationships among and between these groups. The book considers the effect of global changes on the status of sharks and their relatives, and how advances in technology and analytical techniques have changed not only how we approach problem solving and scientific investigations, but how we formulate questions. The book also introduces applications of new and novel laboratory devices, techniques, and field instruments. 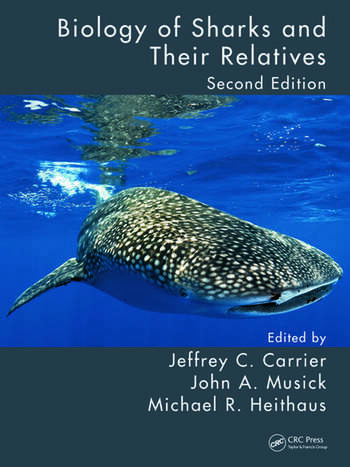 This second edition of the award winning and groundbreaking original exploration of the fundamental elements of the taxonomy, systematics, physiology, and ecology of sharks, skates, rays, and chimera, presents cohesive and integrated coverage of key topics and discusses technological advances used in modern shark research. Offering a well-rounded picture for students and researchers, and far above competitors in scope and research, this new volume holds a wealth of data on the current status of Chondrichthyan research and provides the basis and springboard for original research. Jeffrey C. Carrier, Ph.D. is Professor Emeritus of Biology at Albion College (MI) where he was a faculty member from 1979 to 2010. He earned a B.S. in Biology in 1970 from the University of Miami and completed a Ph.D. in Biology from the University of Miami in 1974. While at Albion College, Dr. Carrier received multiple awards for teaching and scholarship and held the A. Merton Chickering and W.W. Diehl Endowed Professorships in Biology. His primary research interests center on various aspects of the physiology and ecology of nurse sharks in the Florida Keys. His most recent work investigated the reproductive biology and mating behaviors of this species in a long-term study from an isolated region of the Florida Keys. Dr. Carrier has been a member of the American Elasmobranch Society, the American Society of Ichthyologists and Herpetologists, Sigma Xi, the Society for Animal Behavior, and the Council on Undergraduate Research. He served as Secretary, Editor, and President of the American Elasmobranch Society and received multiple distinguished service awards from the society. He holds an appointment as an Adjunct Research Scientist with Mote Marine Laboratory’s Center for Shark Research. John A. (Jack) Musick, Ph.D. is the Marshall Acuff Professor Emeritus in Marine Science at the Virginia Institute of Marine Science (VIMS), College of William and Mary, where he has served on the faculty since 1967. He earned his B.A. in Biology from Rutgers University in 1962 and his M.A. and Ph.D. in Biology from Harvard University in 1964 and 1969, respectively. While at VIMS he has successfully mentored 37 masters and 49 Ph.D. students. Dr. Musick has been awarded the Thomas Ashley Graves Award for Sustained Excellence in Teaching from the College of William and Mary, the Outstanding Faculty Award from the State Council on Higher Education in Virginia, and the Excellence in Fisheries Education Award by the American Fisheries Society. In 2008 Dr. Musick was awarded The Lifetime Achievement Award in Science by the State of Virginia. He has published more than 150 scientific papers and co-authored or edited 19 books focused on the ecology and conservation of sharks, marine fisheries management, and sea turtle ecology. In 1985 he was elected a Fellow by the American Association for the Advancement of Science. He has received Distinguished Service Awards from both the American Fisheries Society and the American Elasmobranch Society (AES), for which he has served as president. In 2009 the AES recognized him as a Distinguished Fellow. Dr. Musick also has served as president of the Annual Sea Turtle Symposium (now the International Sea Turtle Society), and as a member of the World Conservation Union (IUCN) Marine Turtle Specialist Group. Dr. Musick served as co-chair of the IUCN Shark Specialist Group for nine years, and is currently the Vice Chair for Science. Since 1979, Dr Musick has served on numerous Stock Assessment, and Scientific and Statistics committees for the Atlantic States Marine Fisheries Commission, the Mid-Atlantic Fisheries Management Council, the National Marine Fisheries Service, and the Chesapeake Bay Stock Assessment Program. He has chaired the ASMFC Shark Management Technical Committee and ASMFC Summer Flounder Scientific and Statistics Committee. His recent consultancies have included fisheries and environmental assessments for the commercial fishing industry, the Natural Resources Defense Council, FAO, the Australian Government , and the Marine Stewardship Council. Michael R. Heithaus, Ph.D., is an associate professor in the Department of Biological Sciences at Florida International University in Miami, FL where he has been a faculty member since 2003. He received his B.A. in Biology from Oberlin College (1995) in Ohio and his Ph.D. from Simon Fraser University (2001) in British Columbia, Canada. He was a postdoctoral scientist and staff scientist at the Center for Shark Research and also served as a research fellow at the National Geographic Society’s Remote Imaging Department. At FIU, Dr. Heithaus served as the Director of the Marine Sciences Program before becoming the Director of the School of Environment, Arts, and Society. Dr. Heithaus is a behavioral and community ecologist. His main research interests are in understanding the ecological roles of top predators, especially their potential to impact community structure through non-consumptive effects. His work also explores the factors influencing behavioral decisions, especially of large marine taxa including marine mammals, sharks and rays, and sea turtles, and the importance of individual variation in behavior in shaping ecological interactions. Dr. Heithaus has been studying the ecological role of tiger sharks and their large-bodied prey in Shark Bay, Australia since 1997 and co-founded the Shark Bay Ecosystem Research Project. He now also has ongoing projects in the coastal Everglades of southwest Florida and the Gulf of Mexico. 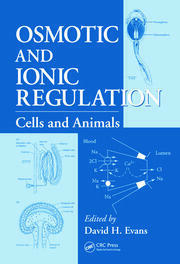 "This publication will be informative and indispensable to fish biologists, university students and aquarium staff. The editor is to be praised for the great job of integrating many contributions into a very useful publication. … This book is no doubt the most up-to-date publication on chondrichthyan biology for specialists." "The new-and-improved second edition of this excellent series contains the latest information about many aspects of shark research. Additionally, the book contains several brand-new chapters focusing on how improved technology (molecular/genetic methods as well as satellite and acoustic tracking) has affected shark research. As with the first edition, this volume primarily focuses on 3 broad sections of elasmobranch research: phylogeny and zoogeography; form, function, and physiology; and ecology and life history. Within each section, there are several chapters focusing on a specific field of research, each written by a team of experts in that field. While the language of some chapters may be a bit technical for some non-scientist readers, this book (and the others in the series) are an invaluable guide to shark science. This book is worth getting for the epic reference list alone." "A work purporting to provide a comprehensive review of a specific taxon's biology often completely omits relevant topics, but such is not the case with this second edition (1st ed., CH, Nov'04, 42-1559). Systematics, behavior, physiology, and ecology of cartilaginous fish are thoroughly reviewed here. The book's contributors also address topics such as evolutionary history, genetics, anatomy, and histology to the extent that they provide insight into the main topic areas. The bulk of information relates to sharks, with somewhat less material presented on the batoids (skates and rays) and much less on the chimaera (deepwater cartilaginous fish). This is not a case of selective editing; the relative amounts of information reflect the number of studies that have been conducted on each of these groups. However, the book contains noteworthy, novel contributions for all three taxonomic groups. The figures and tables are consistent in appearance throughout the text. The chapter narratives are well written and lucid, while the associated citations are current and extensive. This work should claim the role of its predecessor in serving as a fundamental resource for researchers and students of the cartilaginous fishes, as well as marine biologists of all disciplines. Summing Up: Essential. Upper-division undergraduates through professionals." "The table of contents … is the first indication that this book’s editors succeeded in their objective of compiling far more than just another book about the biology of the Class Chondrichthyes (sharks, rays, and chimeras). It is the scope of this book that distinguishes it. …contributions have been carefully prepared and provide generally thorough and well-referenced accounts of each subject. …the volume is a solid contribution and in many respects is far more than the sum of its parts. … It will be an important reference for all students of fish biology, marine biologists, and those concerned with fishery conservation and sustaining marine biodiversity." "This book … is presented as a tribute to the work of three outstanding shark researchers—Perry Gilbert, Shelton Applegate, and Samuel Gruber. …a benchmark publication, offering a well-rounded picture of the current status of chondrichthyan research for advanced students, professors of ichthyology or vertebrate zoology, and even specialists. The in-depth but educational nature of many of the papers make for excellent teaching material that, coupled with the presentation of original research, renders this volume a noteworthy addition to the chondrichthyan literature." 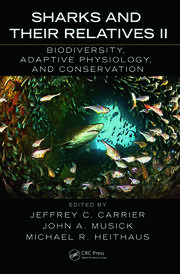 "The editors have done a superb job of melding the efforts of nearly 40 contributors into a cohesive volume that covers virtually all aspects of elasmobranch biology…. Separate subject and animal indexes simplify tracking down specific information, and the extensive, up-to-date reference lists are an invaluable resource…. 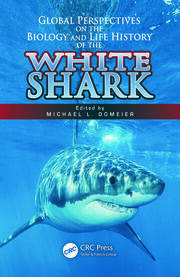 This is a very important volume that will be the key reference on sharks and their relatives for years to come. Summing Up: Essential. Lower-level undergraduates and above."